Warranty Woodland Mills provides a (2) year consumer parts warranty on the HM-series, FW-series, WG-series, FP-series and ATV trailers and a (3) year consumer parts warranty on the WC-series equipment. Accessories of these core products are not included in this warranty. The commencement date of this warranty is the date of purchase and extends to the original purchaser only. This parts only warranty warrants that the equipment will be free from manufacturer’s defects in material and/or workmanship. Product accessories are excluded from this warranty. The remedy for this warranty is that Woodland Mills will at its discretion provide replacement parts to the original purchaser. This is a parts only warranty and excludes labour and/or other costs associated with replacing parts. Woodland Mills reserves the right to discontinue or change materials, parts, models or products, or to make substitutions. Woodland Mills will ship replacement parts via a courier. Express shipping options may be available in certain regions and at an extra cost to the customer. Photos, videos or the shipping of defective parts to Woodland Mills may be required for proper root cause and replacement. When defective parts are required to be returned, a pre-paid courier shipping label will be provided to the customer. This warranty does not apply to normal wear, commercial or rental use, after-market modi cation or damages that occur from negligence, misuse or use not in accordance with the operating and maintenance instructions or the products intended uses. Woodland Mills will at its discretion make the final decision regarding warranty eligibility. In the event the customer is unable or unwilling to perform the labour required to remedy the product, it will be returned to Woodland Mills. Upon receipt of the returned product, the product purchase amount (excluding shipping) will be refunded at a prorated amount based on age of machine and use. All items must be returned with the product and any missing parts will be deducted from the refund amount. Warranty is extended to the original purchaser and is not transferable. Woodland Mills does its best to stock all parts, but in rare cases, parts may need to be ordered in and the customer will be notified upon arrival of required parts.Woodland Mills will not be liable for any damages associated with the unavailability of parts. Wear items including, but not limited to belts, bearings, blades, bed plates, blade guide blocks, chainsaw chains, chainsaw bars, grinding teeth and tires are excluded from this warranty. Engines are not included within the Woodland Mills warranty. Woodland Mills shall not be liable for any incidental or consequential losses, damages or expenses, arising directly or indirectly from the product, whether such claim is based upon breach of contract, breach of warranty, negligence, strict liability in tort or any other legal theory. 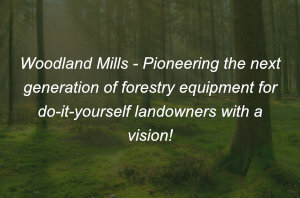 Without limiting the generality of the foregoing, Woodland Mills specifically disclaims any damages relating to (i) lost profits, business, revenues or goodwill; (ii) any expense or loss incurred for labour, supplies, substitute machinery or rental; or (iii) any other type of damage to property or economic loss. Engines are covered by the manufacturer of the engine and covered by the warranty period specified by that manufacturer. All engine repairs, service and part replacements will not be done by Woodland Mills. The engine or complete piece of equipment must be taken to your local engine dealer to receive warranty consideration. If you are not satisfied with the purchase of your Woodland Mills product, you can return it in it’s original packaging for a refund. Returns must be made within 30 days of the invoice date and the cost of shipping to and from the customer are non-refundable. Used accessories cannot be returned for refund. There is a limit of one return per customer .